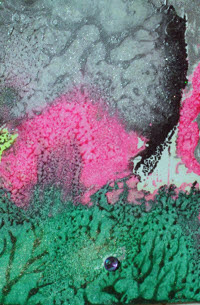 For the lovers of green & pink – there is one only of this gorgeous wax painting. It has beautiful flow of colour as it blends easily with melted silver. I have another set of similar colours. Please inquire if you miss this one.